As Congress prepares to replace the Affordable Care Act, lawmakers in reliably red Kansas are racing to expand the state's Medicaid program. Jim McLean of member station KCUR reports. 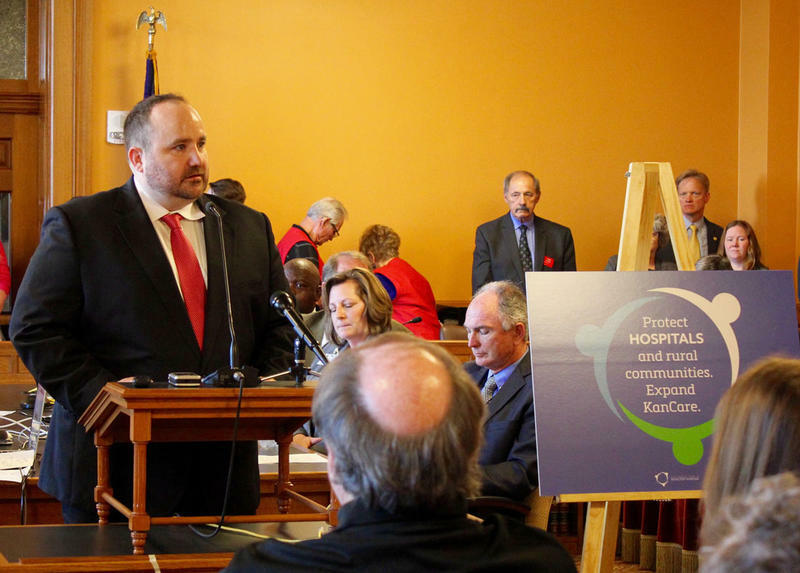 JIM MCLEAN, BYLINE: Supporters of expanding Medicaid eligibility to approximately 300,000 low-income Kansans, many of whom are uninsured, have already pushed a bill through the Kansas House. MCLEAN: Now they're working to secure votes in the Senate. WOOD: And then we're just reaching out to ask if you might have a quick minute to call your senator, Senator Susan Wagle, and ask her to support KanCare expansion. MCLEAN: Prior to this session, Republican Governor Sam Brownback and legislative leaders blocked all debate on expansion. But voters frustrated by the state's chronic budget problems ousted several conservative incumbents and replaced them with moderate Republicans and Democrats who promised to fix the state's finances, fund public schools and push for Medicaid expansion. JOHN EPLEE: It's all about the complexion of your legislature. It's a whole new ballgame. MCLEAN: That's one of the newcomers, Republican Representative John Eplee. He's a doctor and an expansion supporter. Like other lawmakers, he worries that Kansas may be too late, given language just added to the ACA replacement bill to close the expansion window. 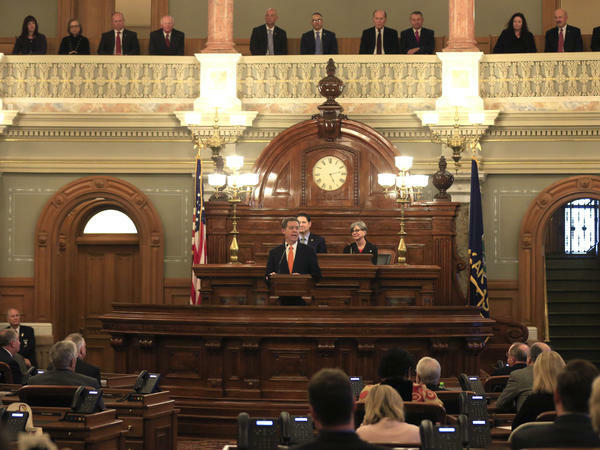 But David Jordan, the head of a pro-expansion coalition, says Kansas lawmakers shouldn't assume that part of the bill won't survive as congressional leaders continue to tweak it in search of votes. DAVID JORDAN: We have everything to gain by taking this step and nothing to lose. MCLEAN: Expansion is an emotional issue for many, including Jeremy Presley, a doctor who treats uninsured patients in Dodge City. He testified to a Kansas Senate committee this week. JEREMY PRESLEY: I encourage you to take this opportunity before you, do not turn away and not shy away from those people to provide them that care that they need. MCLEAN: Other witnesses said expansion would more than pay for itself by pulling down additional federal dollars that would cover 90 percent of the cost. It would also mean the state could spend less on other programs. But missed enrollment projections in several expansion states make that a tough sell for some lawmakers. Republican Doug Blex is a first-term House member from the southeast corner of the state. DOUG BLEX: In most states, seems like there's been more applicants than what they anticipated. So the heart's kind of there. But, you know, it's a pocketbook issue. MCLEAN: Despite concerns about cost and timing, the House passed the expansion bill with nearly a veto-proof majority. The Senate could vote as early as next week. For NPR News, I'm Jim McLean in Topeka. MCEVERS: That story came to us from the Kansas News Service, a reporting collaboration that focuses on health, education and politics. Transcript provided by NPR, Copyright NPR. Former Kansas Gov. Kathleen Sebelius says she thinks it will take the state “decades” to recover from the effects of the state’s current financial woes. 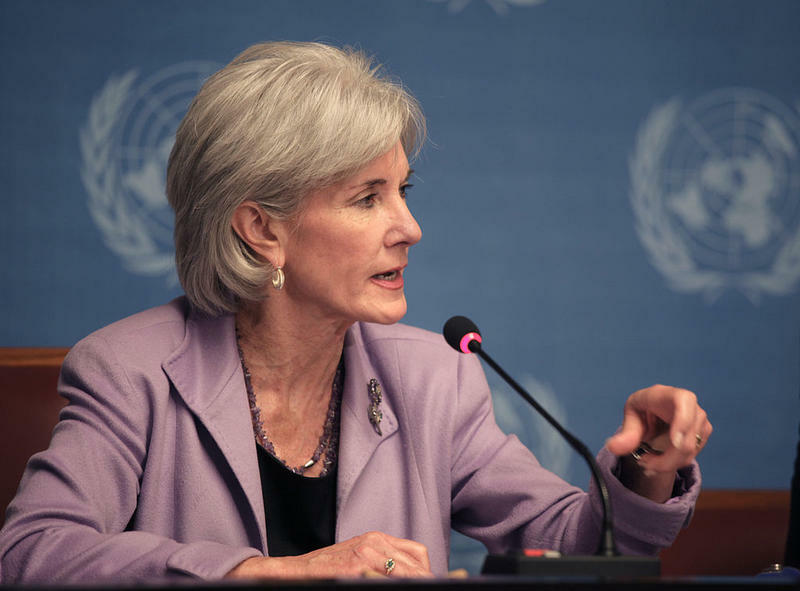 In an appearance Friday on KCUR’s Up to Date, Sebelius was asked by host Steve Kraske what she made of the state today.